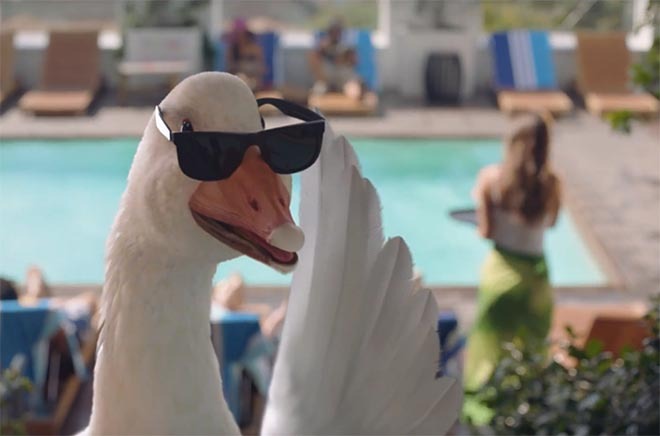 Air New Zealand has launched Better Way to Fly, an advertising campaign featuring Dave the Goose, designed to convince Australians that Air New Zealand is a better way to fly to North and South America. 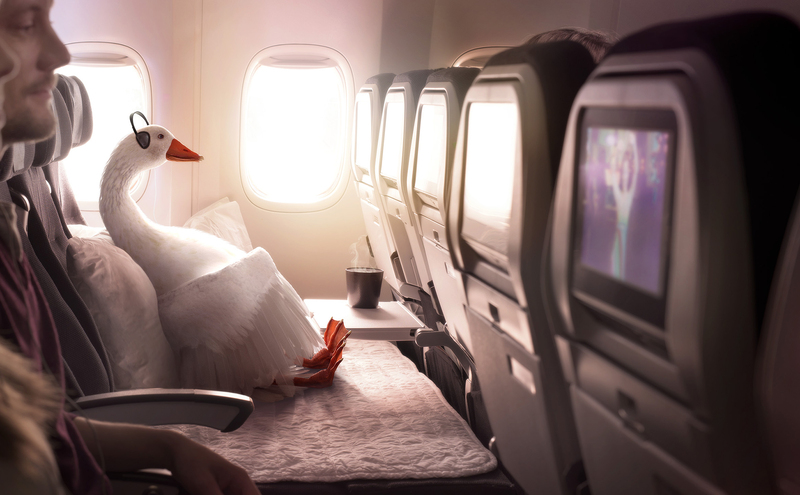 The 3D animated character is seen boarding an Air New Zealand long haul flight at Sydney Airport, explaining that he’s given up on 17-day migrations across the Pacific. Dave’s arrival in Los Angeles provides him with a chance meeting with his own Australian voiceover actor, Bryan Brown, pouring a cocktail (a reference to Bryan’s role as Doug Coughlin in the 1988 movie Cocktail). 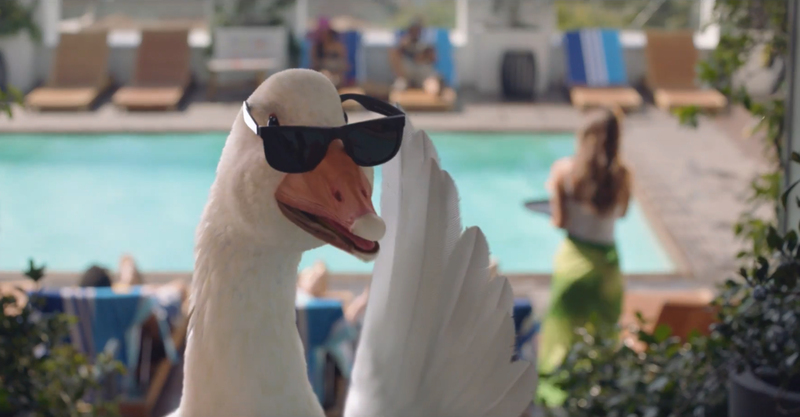 “Better Way to Fly”, the main commercial, is supplemented with shorter ads, “Economy Skycouch”, “Dave in LA”, and “Transit through Auckland”. The Air New Zealand Better Way to Fly campaign, online at betterwaytofly.com.au, features the airline’s Economy Skycouch, hospitality, the International Transit Lounge experience in Auckland, and destinations Los Angeles, San Francisco, Vancouver, Houston and Buenos Aires. The Air New Zealand Better Way to Fly campaign was developed at True, Auckland, by executive creative director Craig Pethybridge, creative directors Dom Antelme and Ian Sweeney, copywriter Duncan Blair, agency producer Fiona Champtaloup, group account director Helen Prangley working with Air New Zealand GM Global Brand and Content Marketing Jodi Williams and brand development manager Justine Murphy. Retail and trade components were by Host, Sydney. Filming was shot by director Paul Middleditch via Plaza Films with executive producer Peter Masterton, head of production Megan Ayers, director of photography Daniel Ardilley. Editor was Dave Whittaker at The Editors. Colourist was Ben Eagleton. 3D animation and post production was done at Blockhead. Music was composed by Ramesh Sathiah at Song Zu. Sound design and audio mix were produced at Liquid Studios by Craig and Brendon. Voice over work was recorded at Nylon Studios, Sydney, by Bryan Brown via Shanahan Management. Still photography was by Fraser Clements, Match Photography, retouched by Denny Monk at Cream Studios.